Arbor Lodge Neighborhood Association: Elections are coming - come learn about your neighborhood association and how to participate! Elections are coming - come learn about your neighborhood association and how to participate! 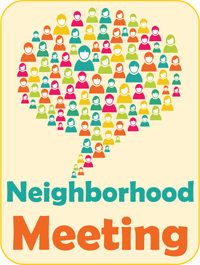 We hope you'll join us for our September neighborhood meeting! We are gearing up to add neighbors to our Board at Elections in October, so join us to learn more about your neighborhood association and the great group of people who work to build community in Arbor Lodge. Maybe you'll be inspired to join us!